« April 5th Coin Codes! 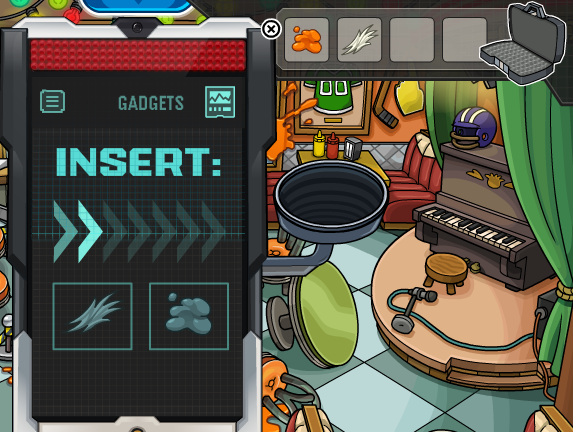 The following tutorial/walkthrough will reveal how to do this mission. In other words, if you have not done the mission and would like to do it on your own, do NOT click on the “Continue Reading!” link. If you don’t care or are having trouble, then go ahead and click on it. Now let’s get started! Go ahead and click on him. He will talk to you for a bit and then G will call you on your Spy Phone. He will explain to you about the new gadget, the Trace Tracker 3000. Now you will have to look for the evidence that you need to activate your Trace Tracker 3000. 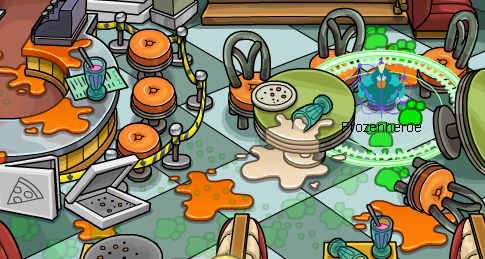 Follow the tracks out of the Pizza Parlor. 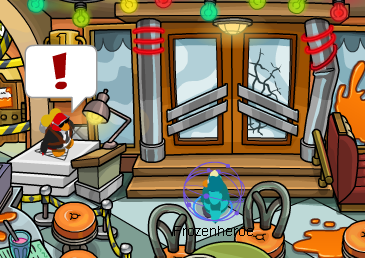 Keep following them through the Plaza, Snow Forts, Town and Beach until you finally reach the Lighthouse. By now you already know who this is we are dealing with. 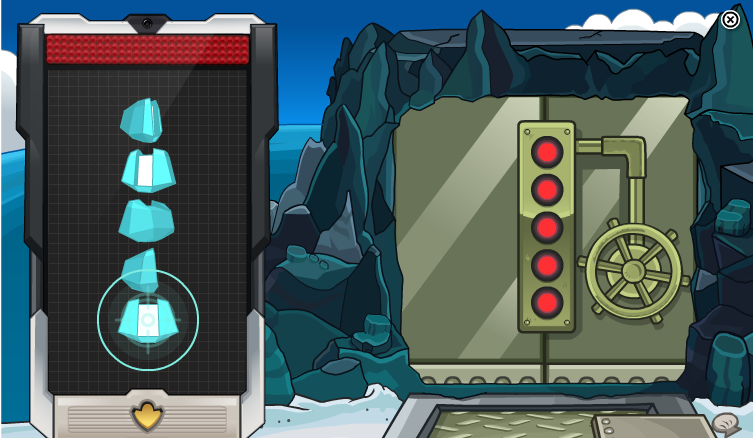 Once you have reached the Lighthouse, follow the final tracks to the last spot, and walk on top of the green platform. Walk over to the locked door. Now since this is a mission, naturally the door is not unlocked or open. There is a small puzzle to do before unlocking it, and it’s really easy. All you need to do is line up the floating pieces to look like the bottom one. 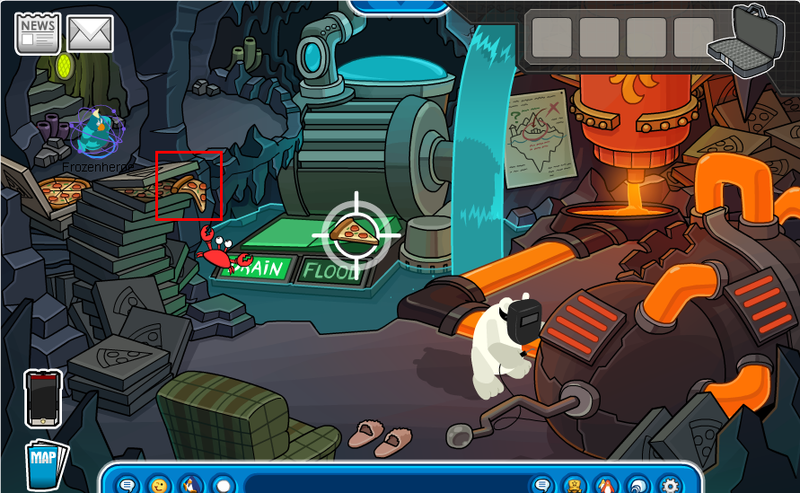 After reading what Herbert told Klutzy, click on the pizza box, and then throw the piece on the switch that says “Flood.” Klutzy will walk over to it and literally flood their underground lair. 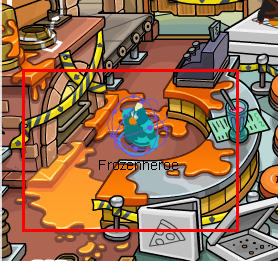 After that you will have saved Pizza Party at the Cove. You will be thanked by Rookie. Then your Spy Phone will ring. It’s the Director himself. I received a stamp after that. 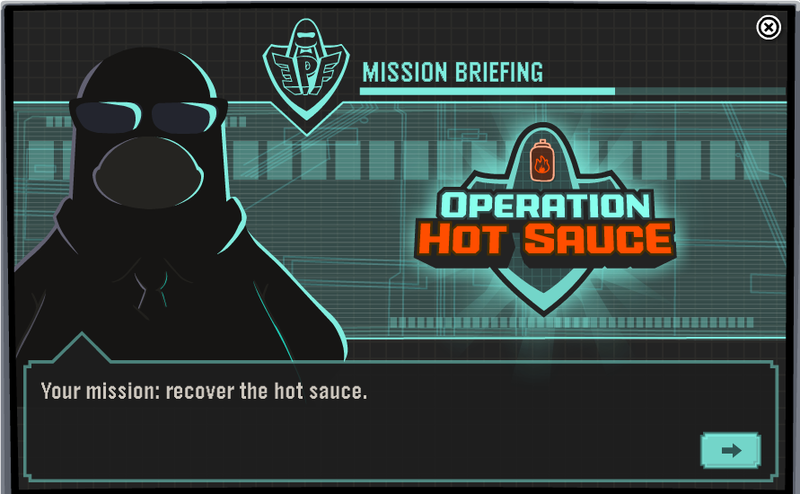 Since my penguin is only 113 days old, I’m not sure whether this stamp goes to everybody who does this mission, or if it goes only to those who do an EPF mission for the first time. Does someone know? Anyways, I hope this tutorial/walkthrough may have helped you in any way. If you have any questions, don’t hesitate and ask me in the comments section below. 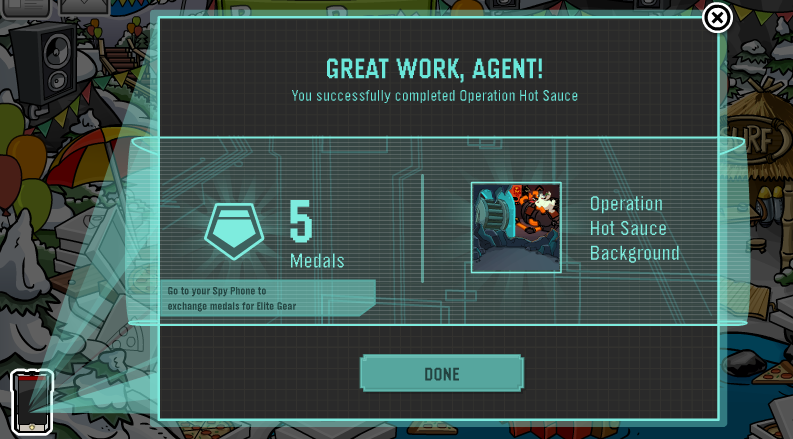 With your new medals, you can exchange them for cool gear by clicking on the Gear icon on your Spy Phone. You will be able to win more medals by doing the mission again. 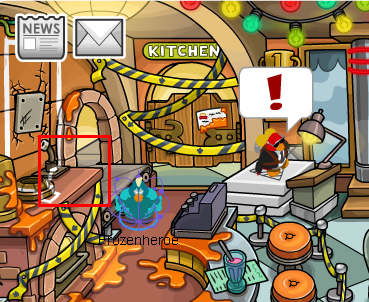 This entry was posted on April 5, 2013 at 3:53 am and is filed under EPF, Tutorials. You can follow any responses to this entry through the RSS 2.0 feed. You can leave a response, or trackback from your own site. the stamp goes to everyone, i got it and i i’m less then 135 days old on club penguin, hopes this helped and also thnx for the awesome tutorial, i wouldent of gotten past this mission without it. Thank you Anthony for your comment. I’m happy this tutorial has helped you out! THANKS!!!! I was able to complete this mission only because of this website! Thanks a ton! I worked it out all myself, very good walkthrough though. I got 18 medals from it. Hey there Roy, that’s a lot of medals! Thank you for your kind words.